New, printer-friendly e-visa service is currently being developed and will be implemented on January 1st 2017. In a tourism development conference on August 9th in Hoi An, Vietnam Prime Minister Nguyen Xuan Phuc told the press that he had allocated US$8.8 million to expedite the new e-visa project on January 1st 2017. Once launched, travelers will be able to apply for Vietnam visa just by filling out an online form. Once the application is finished, applicants will receive a printable e-visa via email after 3-5 working days. Currently, visa applicants can obtain their visas via Vietnam Embassy/Consulate in their respective country, which requires mailing or delivering in person the application form and required documents to the Embassy/Consulate. 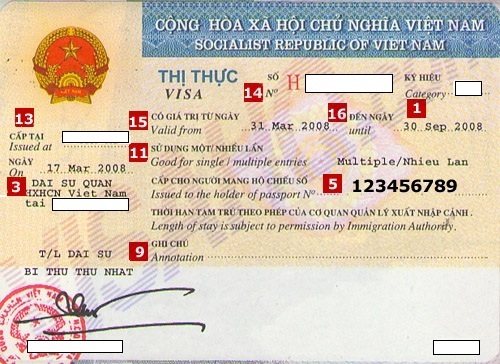 Alternatively, travelers can obtain visa on arrival (VOA) from the Vietnam Department of Immigration via an agent. The new e-visa will be significantly faster and hassle-free compared to current channels, however, pricing are to be determined. Prime Minister Phuc had asked tourism and finance officials to work on setting a suitable price and making sure all foreign tourists feel warmly welcomed. The new e-visa initiative is a step up from the 1 year extension on visa waiver/exemption policy for various countries, in a broader effort to bolster the immense 24% growth of Vietnam’s tourist arrivals during the first 6 months of 2016. Vietnam aims to attract 10.5 million international visitors annually by 2020, with tourism annual revenue reaching US$19 million, equivalent to about 7% of the country GDP. The info is correct but e-visa is only applicable for air travel, not by border crossing. However you completely can apply visa online through any travel agent since it’s cheaper and faster than the government website. Next post: How to get Vietnam Visa from Portugal?